Former Sony president and CEO will step down as chairman in June, but his past with PlayStation will be fondly remembered. When Kazuo Hirai departs Sony as chairman and a member of its board of directors in June after a 35 year career in the company, he will do with a massive legacy. It’s actually probably safe to say he’ll have two legacies when he leaves Sony for the last time as its chairman. When Hirai started at Sony in 1985, he began in the marketing wing of Sony’s music arm, but it was his move to Sony Computer Entertainment America in 1995 to help oversee the US launch of the original PlayStation that you could arguably say the road to Sony’s top job began for him. There, as head of SCEA, he would oversee the reveals of the PlayStation Portable in 2004 and the PlayStation 3 at E3 2005, alongside the man he always liked to label as ‘the father of PlayStation’: Ken Kutaragi. 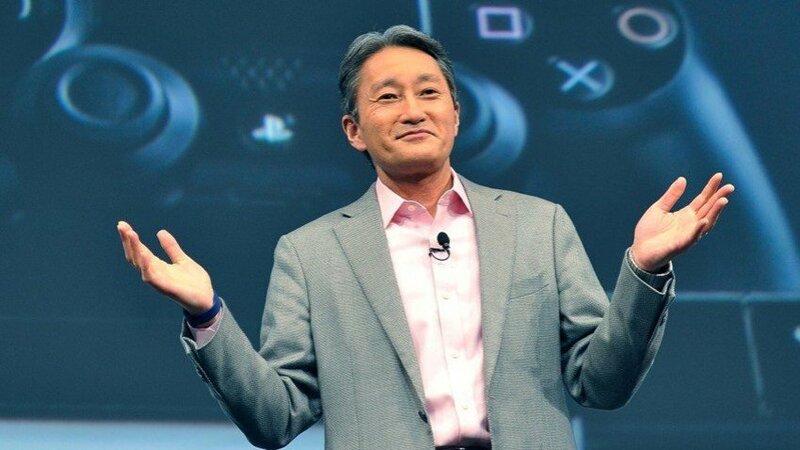 His most memorable public moment (moments, really) came a year later at the Sony E3 press conference when he announced the PlayStation 3’s price. “The PlayStation 3 will retail for Five Hundred and Ninety-Nine US dollars”, signifying the beginning of PlayStation 3’s moment of hubris that current PlayStation America boss Shawn Layden referred to at his DICE keynote back in February. After that E3 2006 press conference, Hirai was promoted to COO of SCEI in November that year, while Kutaragi would become chairman and maintain his CEO post. All of this while Hirai was maintaining his roles within Sony Computer Entertainment America. It wouldn’t last long, though. Five months later in April of 2007, Hirai ascended to the top of PlayStation and become its president and CEO, while Kutaragi stepped down from those roles to become an honorary chairman, a role he relinquished back in 2011. With Hirai in the hotseat and Jack Tretton and Andrew House overlooking operations in the US and Europe respectively, things began to turn around for Sony. The PlayStation 3 was still severely overpriced and it was a console that was difficult to develop, but with Hirai, Tretton, and House oiling the machinations behind the scenes, the PS3 reportedly finished ahead of Xbox 360 by the time the sixth generation of consoles came to an end. Hirai stepped down as President and group CEO of SCEI in July 2011 and handed over his role to House, who oversaw the company in the PS3’s final days. Though Hirai remained as the group’s chairman, his departure from PlayStation's top job set him up for an even bigger opportunity. Sony announced in February 2012 that Hirai would replace Sir Howard Stringer as president and CEO of Sony Corporation in April of that year, a year earlier than the previously announced departure timeline given by Stringer. He stepped into the role and found Sony in an incredibly difficult position, hemorrhaging money and continuously in the red, including a whopping $6.4 billion loss for FY2012, with demand for Sony products - particularly TVs - not as high compared to other companies, including Samsung and LG. Hirai has had to make a lot of tough decisions around his ‘One Sony’ plan, which was meant to shape the company into a technological powerhouse of yore, including a six percent cut on staff headcount worldwide. PlayStation 4 was the major pillar of support, alongside its cameras and sensors businesses, and Sony is now back on even footing. With Sony finally stabilized, Hirai stepped down as president and CEO last year and handed the reigns to then-CFO, Kenchiro Yoshida. Hirai assumed the role of chairman at the top of Sony Corporation once he transitioned from his former role, but come June, he’ll step into full retirement. He will still remain a “senior advisor” to Sony management when requested, but other that that, that’s it. “Since passing the baton of CEO to Yoshida-san last April, as Chairman of Sony, I have had the opportunity to both ensure a smooth transition and provide support to Sony's management,” he said in the statement, announcing his retirement. “I am confident that everyone at Sony is fully aligned under Yoshida-san's strong leadership, and are ready to build an even brighter future for Sony. “As such, I have decided to depart from Sony, which has been a part of my life for the past 35 years. I would like to extend my warmest gratitude to all our employees and stakeholders who have supported me throughout this journey."